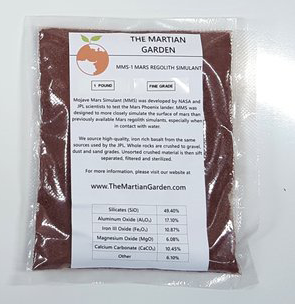 Get FREE Mars Regolith Simulant from The Martian Garden! – Each sample includes 100 grams of Mojave Mars Simulant. Limit one free sample per shipping address.